It didn’t take me very long to get into this book, but unfortunately, a mix of irritating characters and clunky writing found me not loving this book in the end. 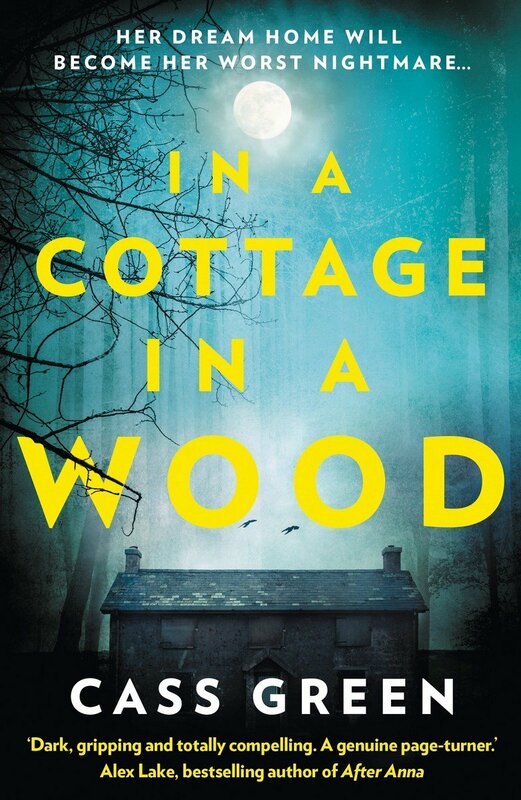 This book is definitely one that gets straight into the mystery and piques your intrigue quickly. From the moment we met Isabelle on the bridge and the strange encounter she had with Neve, I couldn’t wait to find out why and what was happening! The plot for this one definitely drew me in straight away, and that’s something I really loved about this book. The plot was presented to us so suddenly and so mysteriously, you really wanted to know what was happening and it so it keeps you reading! I did find that some of this story was really drawn out and I felt there were parts that could have been missed out. For example, when Never first arrives at the cottage and goes for a walk, she stops of at a clearing on the beach and the writing makes it in to a really big deal. I thought “look out for this same spot later on in the story then!”, yes nothing comes of it! It was just extra fluff to add to the word count. To begin with, I didn’t mind the characters in this novel. The fiestiness of Neve felt sassy and fun, but after a while a character that doesn’t grow in personality can become really irritating and laborious to read about. There weren’t really many other big characters in this one, we mainly focused on Neve and her daily potterings-about. With the other characters that did feature in this novel, it was easy to spot what their motives were, or if they were placed in the novel for the purpose of being a scapegoat. It’s not fun when you can see through the characters this easily! I liked the descriptions and scenery in this one, but the writing became repetitive in terms of phrases or things said by characters, which is always a negative in my eyes! There’s no need to repeat things over and over again throughout a book, it just feels like a waste of time to read. Despite all my whinging, I did enjoy this book more than not, and I think other less fussy readers would love this! I’m am a super picky reader, I know this, and I know I pick faults in books that are really niche, but that’s just the kind of reader I am! Thanks to HarperCollins for sending me a copy of this book in exchange for an honest review! It does sound like an interesting premise, but I’m sorry. Arriving at a new house in the woods for the first time at night? That’s just asking for trouble! Haha, Nicole is quite right! Sometimes I wonder if, in horror, the authors think that character growth isn’t necessary, since it’s all about the scare. The thing is, I think character growth is always essential, no matter the fear factor. I really enjoyed this Zuky. I would agree that when certain aspects are picked out and made a big deal of, I often keep my eyes peeled for it to come back into the plot. I’m also not a huge fan of over explainations or descriptions. I often get bored and skim read it put it down and stuggle to pick it back up.